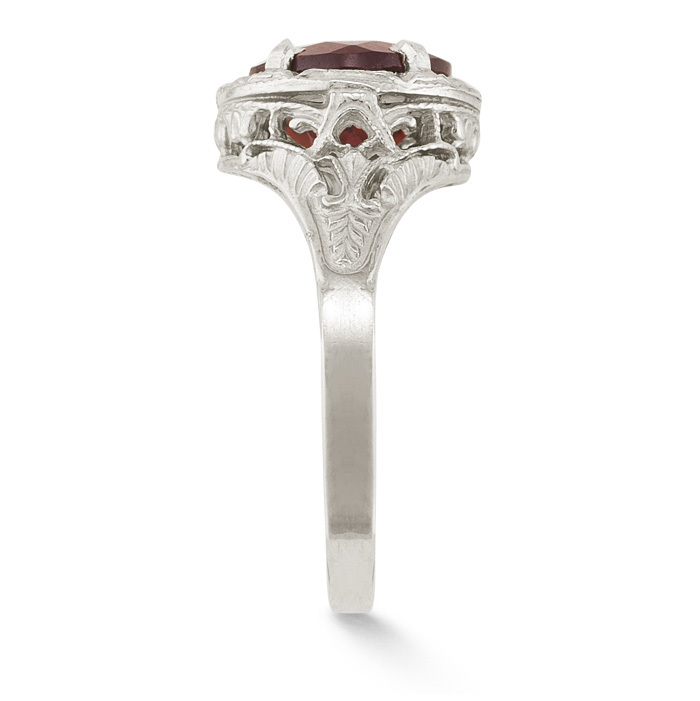 Our handmade genuine garnet ring is set with a 9mm round garnet in a vintage Victorian-style floral setting in 14k solid white gold. Garnet weighs a total of 3.37 carats. Also available in yellow gold, rose gold, 18k gold, or platinum, by request. 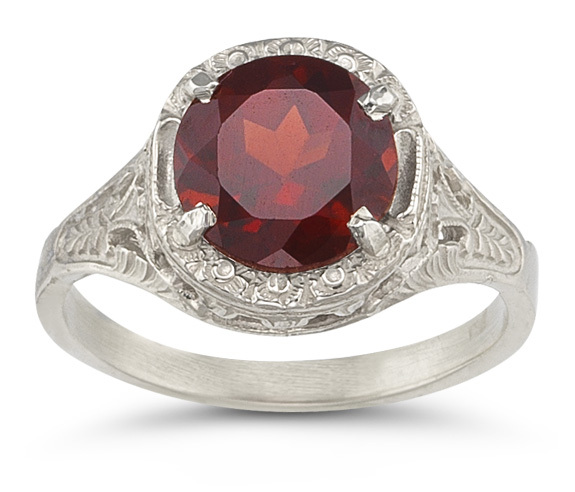 We guarantee our Vintage Floral Garnet Ring in 14K White Gold to be high quality, authentic jewelry, as described above.